Best Violin Shoulder Rests – Let's Get Comfortable! Many years ago when I started using a full-size violin, my teacher congratulated me on reaching a stage where I apparently didn’t need to use a shoulder rest anymore. At first, I was excited about reaching this seemingly monumental goal but soon realised that the discomfort and often pain which accompanied my new ‘no shoulder rest look’ were not things I could put up with. Within a month, I was back to using my trusty shoulder rest and haven’t looked back. 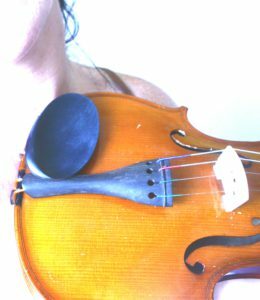 As a teacher, I promote the shoulder rest as an essential part of a beginner and intermediate player’s violin. As my students become more advanced, however, I leave it up to them to decide whether they will use one or not. In the following post, I will discuss the pros and cons of using a shoulder rest and also talk about one of the best violin shoulder rests that I use and recommend to my own students. Is A Shoulder Rest Right For You? As those who use a shoulder rest will agree, the extra comfort that these seemingly simple devices afford is something you really want to try for yourself. Essentially, the length between your collarbone and your chin should be equal to the length from the top of your chin rest to the bottom of your shoulder rest (or violin if you aren’t using one). Very few people’s necks are short enough to make this possible without a shoulder rest. Sure, you could always use an elevated chin rest to close the gap, but personally, I prefer an adjustable shoulder rest which can be shaped to fit the player’s individual neck and shoulders. As well as providing extra comfort, I find that shoulder rests enable students to shift more easily, especially down the neck of the violin. I also find that by elevating the violin away from their body and clothing, they get a less muffled tone. This being said, there are many professional violinists who don’t use a shoulder rest and achieve a beautiful sound quality and instrumental freedom. In terms of shifting, there is also no reason why you can’t shift effectively without a shoulder rest; in times before they were developed, violinists were already shifting in and out of 7th position! In summary, whether you choose to use a shoulder rest is an entirely personal choice and one which you should discuss with your teacher. 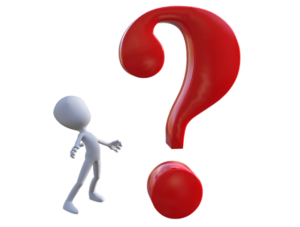 The advice and recommendations I provide here are based on my own personal experience, so I’d love to here your views; especially if you’ve got something different to share. 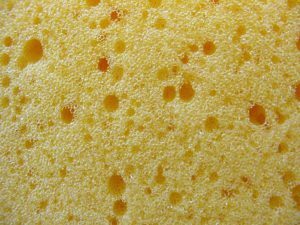 What About A Sponge or Cloth? A couple of years ago, I met with Lily, a seven-year old who’d been using a kitchen sponge and two rubber bands in place of a shoulder rest. While some support was offered, Lily found it hard to hold her violin up and to the side; it kept slipping towards the front and made it difficult for her to maintain the correct technique in both her left-hand bowing arm. Lily’s previous teacher didn’t believe in the use of shoulder rests and the intention was to remove the sponge altogether with time. While I respect this as a completely valid way forward, I thought Lily would benefit through using a shoulder rest so lent her one of mine to try. Almost instantaneously, Lily was holding her violin more correctly and finding it easier to stand her fingers up on the strings. Her bows were also far straighter, enabled by the new, improved angle of her violin. The shoulder rest that I lent Lily (and she subsequently kept :/) was a 1/2 size Everest. Lily liked the idea that it was pink and comfortable while I liked how the shape of the rest naturally encouraged her to hold her violin correctly. Fast forward to today and I recommend Everest shoulder rests to most of my students. George, one of my current little guys is using a purple Everest at the moment. Being a bit ‘less than careful’ with his violin and accompanying accessories, this is a perfect match for George. The Everest comes in one piece and it’s virtually indestructible which gives us one less thing to worry about in terms of things getting broken. In terms of cost, I find the Everest brand to be quite competitive. It’s by no means the cheapest shoulder rest out there but for what you pay, you get something that will most likely last a lifetime. Many schools have begun using this brand due to its affordability and durability. 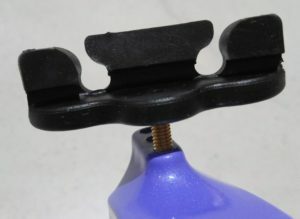 If you do happen to lose a leg, or if the foam padding starts to wear out, you can always replace the individual part rather than have to buy a whole new shoulder rest. Another feature that I love about the Everest is that it’s so easy to set up and use. The legs are identical, so you don’t have to worry about what goes where; simply screw the legs into the appropriate holes and you’re off. There are no small screws to lose and no need for any fancy tools; just screw in and get playing! The four holes on either side mean that you are able to adjust your shoulder rest to the size you need, so you’ll not necessarily need to replace your shoulder rest as you move up a violin size. If you want your shoulder rest a little higher, don’t screw the legs in too far and if you want it a little lower, screw the legs in a little more. 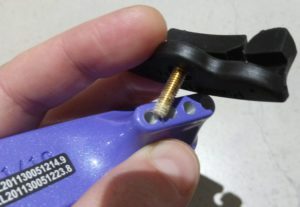 You may also want to check out my post which shows you how to fit your new shoulder rest; there’s also a video and some handy tips and tricks to make sure you get it right. There are some shoulder rests on the market that are essentially ‘fixed’. I’d steer clear of these as you won’t be able to adjust them to your individual shape. You may have read elsewhere that the Everest has been designed with a ‘fixed tilt’. Don’t be fooled; this doesn’t mean that it is cannot be adjusted. Not only can you determine how tall or short it is, you can adjust your Everest shoulder rest to the angle that suits you. The fixed tilt only refers to the shape of the rest which has been designed for maximum comfort and to encourage an ergonomically correct playing angle. 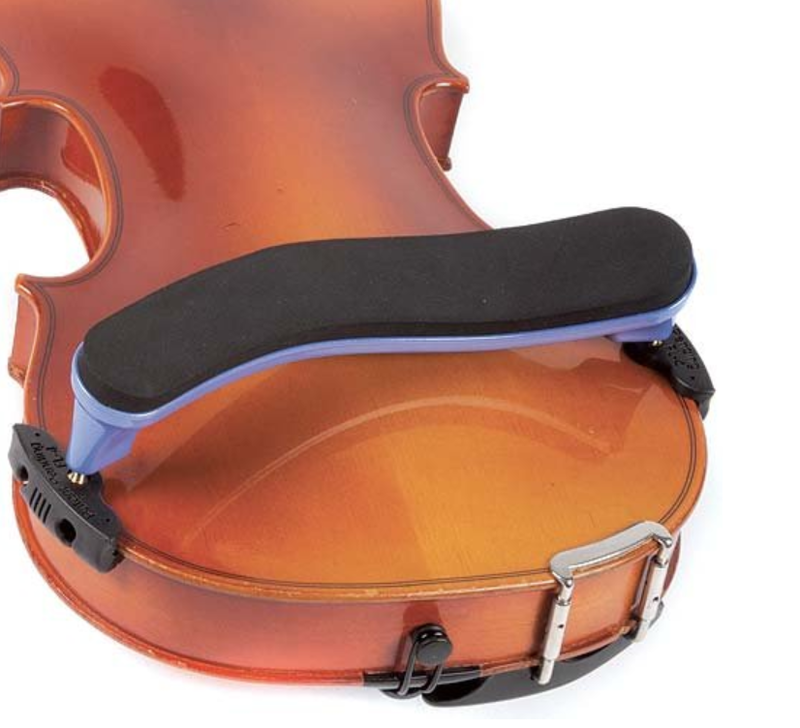 Bonmusica Violin Shoulder Rest: This is a very high quality item which is used and recommended by many students and professionals. Affordability is sometimes an issue and it has a number of small parts which can become lost or damaged. Kun Violin Shoulder Rest: Quite a bit cheaper than the other brands I’ve suggested and I feel that you really do get what you pay for. With young students or those who don’t need much extra support, this is a reasonable rest but if you are wanting something that will last any great period, I’d probably suggest moving on. Wolf Violin Shoulder Rest: Before coming across the Everest, I used and recommended Wolf. The only problem was all the parts. The rubber on the feet gets worn out over time and if not replaced immediately means that the metal underneath can cause damage to your violin. I’ve also found that students regularly lose the screws. If you’re a beginner or intermediate violinist, I’d say yes. 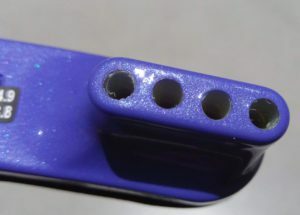 I know there is much debate over the issue but in my experience, you really want something to help hold your violin in place, especially when you are learning the basics. There are many shoulder rest brands out there and while you’re not likely to go too wrong if you choose something adjustable, I do recommend steering clear of any too-good-to-be-true prices; like anything, you’ll often get what you pay for! 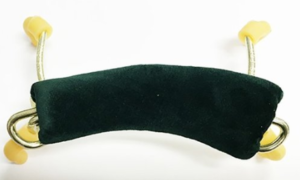 Don’t forget to check out my post on how to attach your violin shoulder rest and if you have any questions or would like to leave your thoughts on a particular brand or school of thought, please do so in the comments section below. What a fantastic article, I had no idea that there is so much to think about when selecting a rest. I play the Tenor saxophone but I have always loved the Violin. Do you have any plans of putting some of your music on here? I think that would be wonderful. Thanks for the information on rests for violins. My niece plays the violin and she has had a hard time getting comfortable with hers … so perhaps for her beginning school gift I can get her an Everest … thanks again!